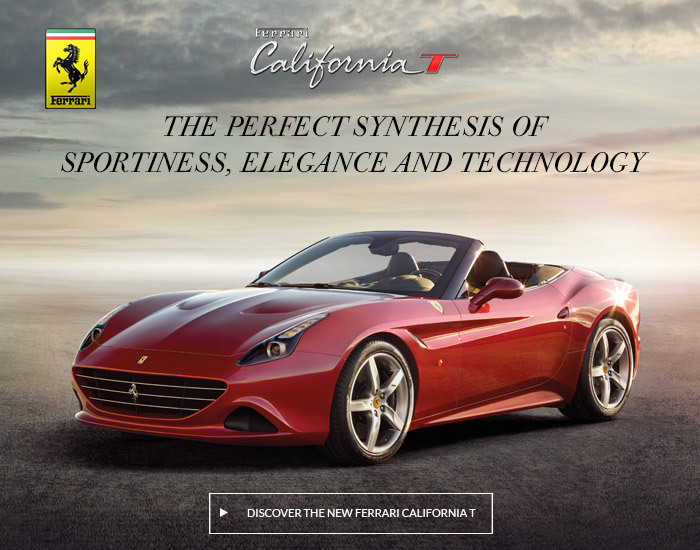 Ferrari is delighted to announce the arrival of the new Ferrari California T: the mid-front-engined 8-cylinder Berlinetta with retractable hard top will make its official world debut at Geneva International Motor Show in March, but from today you can enjoy a preview on the Ferrari website. The Ferrari California T boasts a brand-new 560 CV turbo engine which, thanks to the talents of Maranello’s engineers, has a torque curve that increases constantly across the rev range and delivers a soundtrack of an intensity never before achieved by a turbo. Follow all the updates online!